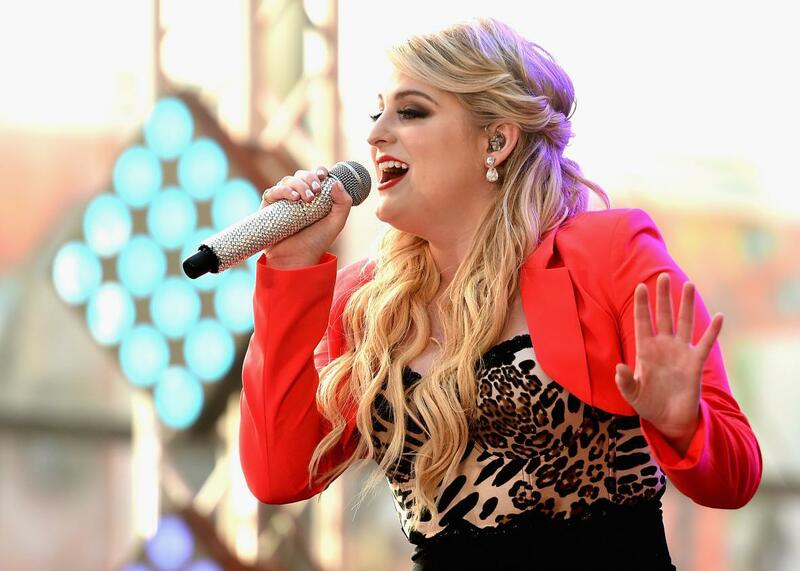 Meghan Trainor Peanuts: Singer's People interview about her song in The Peanuts Movie is a total disaster. Does Trainor know what Peanuts is? Look, I am willing to give The Peanuts Movie the benefit of the doubt in anticipation of its November release. I am willing to look past the “All I Do Is Win” moment in the trailer and embrace the ways it seems to nod toward the more philosophical bent of Charles Schulz’s comic. I am cheered by how the trailer, at least, focuses on Charlie Brown and his emotional travails, relegating Snoopy to second-banana status, where he belongs. I’m glad to see Franklin and Frieda and especially Peppermint Patty, and look forward to Marcie and Patty’s relationship opening the eyes of a new generation of girls. I’ll even fansplain away the bizarre “We Love Moms” and “Thanks Dads!” teasers—for Peanuts, a property that famously did away with parents entirely—as non-essential marketing chum, the cost of doing business in a Minionized marketplace where every animated character must be a blank slate to which literally any sentiment can be affixed. But I will not, cannot, explain away this People magazine interview with Meghan Trainor, who apparently sings a song on the soundtrack of the movie. This interview is a total disaster, and requires instant intervention from a crack team of trained marketers to remedy the damage done to Peanuts, the future of the movie, and my emotional well-being. What hurts the most? The Peanuts-ified Trainor character, placed sassily in a promotional image between Charlie Brown and Lucy, intimating that she might appear in the movie? Or is it the plentiful evidence that the film’s P.R. team paid Trainor a substantial amount of money to join the film’s marketing push yet did not care enough to, at any point, bother to teach her anything about the beloved comic to whose adaptation she is lending her flat affect and tween appeal? As Jen Chaney points out on Twitter, it is not clear Trainor even knows what Peanuts is. “Were you a big Peanuts fan growing up?” People’s Jodi Guglielmi asks Trainor, who answers: “My grandma always had it on; she always had a lot of cartoons on. I was super-duper young, but I do remember when the show was on—it was huge!” Unfortunately, Guglielmi does not ask, “What?” or “What are you talking about?” or “What show?” or “Peanuts is a comic strip, not a cartoon TV show your grandma had on.” Instead, she follows up: “Which character are you most like?” Trainor gives the correct answer (Sally) but cannot remember Sally’s name, so she refers to Sally as “Charlie’s sister,” because definitely anyone who has ever loved Peanuts refers to its hero as “Charlie.” Who can forget the classic TV movie, A Charlie Christmas? Or the hit Broadway musical You’re a Good Man, Charlie? Anyway, Trainor’s song is called “Better When I’m Dancin’” and it’s “all about letting go of your insecurities and embracing your true self on the dance floor.” So at least Trainor’s got that important Peanuts lesson down.